When you visit post office for making savings bank transactions either for deposit or for withdrawal you have to stand in a queue for long time till you get your own turn. No proper arrangement is generally available in post offices to regulate the crowd. The customers themselves have to stand in a queue and sometimes some people shortcut the queue also. 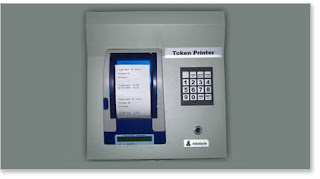 In Chennai City, T. Nagar, Ashok Nagar and Mylapore post offices token system like bank has been introudced recently which is welcomed by all customers of India Post as well as the employees.